If you are planning extensive landscaping or are going to be building anything near your house that will require excavation, you should know how deep your house’s footings are. This is necessary so that no digging will disturb the soil supporting your footings. Because the footings are the base for the foundation and the entire house, if the soil supporting the footings is disturbed, foundation problems such as cracking and even collapsing could occur. Dig down along the side of your foundation with the shovel. You don’t need to dig a trench the entire length of your home, but it is a good idea to at least go half the length of the house to assure that the footings and the foundation are level. Stop digging when you can see the bottom of the concrete of the foundation. 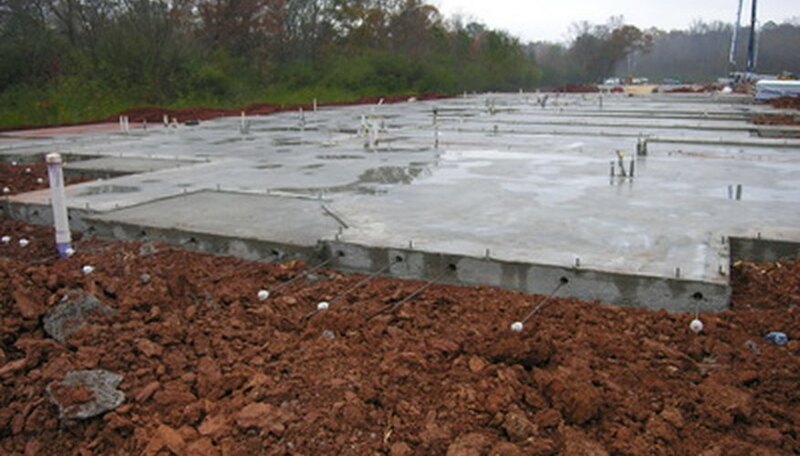 You will be able to tell that you’ve reached the footings because they will be at the base of the foundation (no concrete should be below the footings; they will be at the bottom of the structure) and they are wider than the foundation. Measure the depth of the footings by using the tape measure starting at the bottom of the foundation and measuring up to the surface of the soil. The digging can be done by an excavator with a backhoe. An experienced excavator will be able to accurately dig alongside your home without disturbing the soil supporting the footings and foundation. If you have a basement, you may also measure the depth of your basement (only the portion that is below the soil surface) and add 3 1/2 inches to that measurement. This is the typical thickness of the concrete floor that sits atop the footings, so the resulting calculation should give an accurate estimate of how deep the footings are. If you live in an area of the country that gets frost, you can estimate that the footings will be below the frost line. Check with your city’s building department to be sure, but usually codes in a frost area require that footings be 3 feet below the surface of the soil.